Sexual health is a common concern, but not one that everyone is comfortable talking about. While many people believe that the symptoms of sexually transmitted diseases (STDs) are easy to spot, some STDs have little to no symptoms. If you have questions about STDs, prevention, or where to get an STD test near you, FastMed Urgent Care is eager to help. I’m Looking for an STD Test Near Me. Who Can I Trust? Our facilities are clean, modern and have state-of-the-art equipment like digital X-rays and onsite labs. FastMed urgent care is faster and more affordable that the emergency room. Check out how our ZipPass can save you time! And more! Call your neighborhood FastMed to find out specific availability. 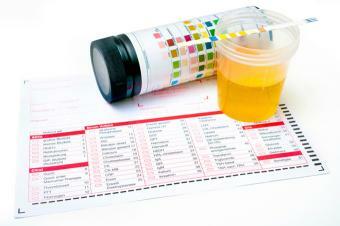 Urine samples are often used to test for chlamydia and gonorrhea. You may be examined for signs of infection, like sores or discharge. Generally, yes. It is illegal for healthcare providers to share your results with anyone but you, including family members, friends and employers. For anyone looking for STD tests near you, FastMed Urgent Care is a safe and reliable choice. We are dedicated to your health, are you? Contact us today for more info.